Trails are rated from very easy to expert and will accommodate ATVs, trail motorcycles, Mountain Bikes, Horses, and Side by Sides/UTV up to 60 inches wide. No 4x4's or rock crawlers at this point. From I20 in Alabama between Atlanta, GA and Birmingham, AL, Take Exit number 168 Hwy. 77 S towards Talladega. Take a left on Bypass Hwy. 275 when completed. Go approx. 4 miles and take a left onto Horne Drive. Go 600 yards into the park. Or From I20 in Alabama between Atlanta, GA and Birmingham, AL, Take Exit number 173 Hwy. 5/399 S and left on Hwy. 5 towards Talladega. Take a right on Bypass Hwy. 275 when completed. Go approx. .5 miles and take a right onto Horne Drive. Go 600 yards into the park. Much of the existing 50 mile system of trails was used in WWII as narrow roads to guard the then ammunition depot that was housed on the property. The property consists of over 2800 acres of forest including about 1000 acres of flatland and 1800 acres of mountain terrain with rolling hills. Trails for all ages from novice to expert. Plenty of forest, wildlife such as deer, turkey, rabbit, squirrel and indigenous animals to the area. Currently primitive camping only, but the Park will be under constant development and improvements for the next 10-15 years adding a multitude of different venues for different outdoor enthusiasts. 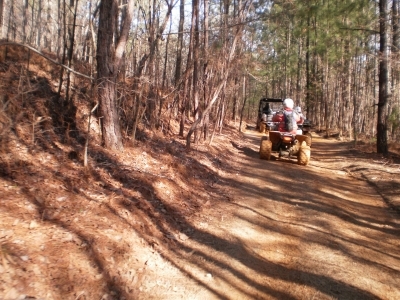 Safety will be emphasized for all park visitors, but especially those who will be riding the trails. Helmets will be required for all open seated machines and bicycles and recommended for enclosed side by sides and ATVs with roll cages and seat belts. Machines must pass the National Sound decimal limit or below to be allowed to be used in the park. Spark arrestors will be required for all dirt bikes. Alcohol will not be allowed within the Complex. It is open 365 days a year 24 hours per day. The local fire, police, ambulance and hospital services are within a few miles of the entrance to the Complex. Trails are two-way to help reduce the speed and to reduce erosion to the trail system. 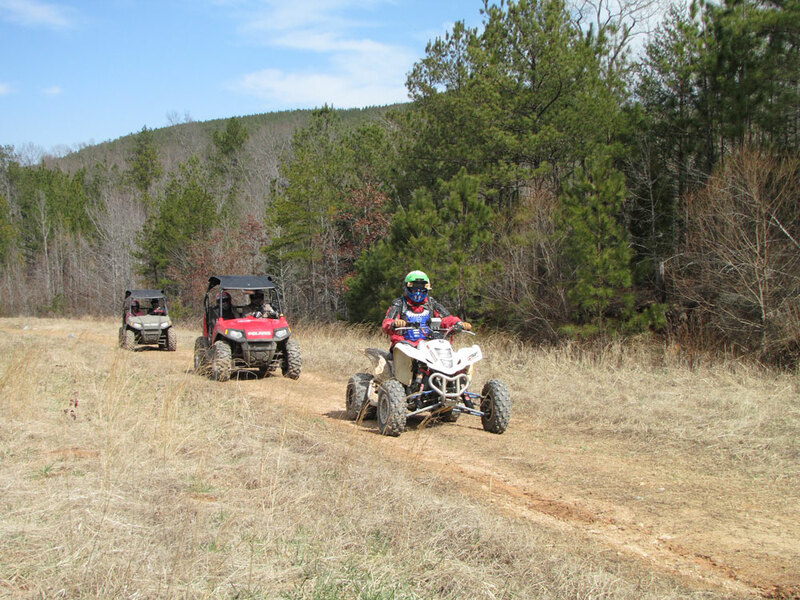 The trail system development is currently being funded by RTP grants from ADECA (Alabama Department of Economic and Community Affairs) and OHV manufacturers. 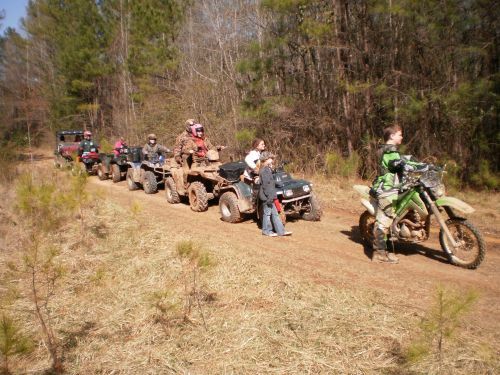 Located in the same general area is an OHV Advocacy Group of volunteers called the Cheaha Trail Riders, Inc. who consistently volunteer in helping develop and maintain OHV trails within the Park and other parks throughout Alabama. The Talladega NASCAR Super Speedway can be seen from top of several mountain peaks during the winter when the leaves have fallen. Coosa Annex. Photo by Rob Grant.